Sushi, once considered exotic and daring by the West, has become a mainstream and healthful alternative for many looking to reduce the intake of carbs and fat and increase the intake of lean, healthy protein. Sushi is what we associate as the foundation of Japanese culture, consisting fundamentally of rice (seasoned with rice vinegar, salt and sugar) and commonly with raw seafood, although there are other ingredients too that makes this – common sushi is known as Edo-style sushi, which combines foreign influences through time.There are so many varieties of sushi that there is something to suit and satisfy nearly every palate. In spite of the popularity of this dish, you may never have given much thought to its origins. Where did sushi come from?, and how did it gain in popularity? Has it been around as long as the wheel?, or maybe just since the supercomputer? Let’s take a look at the long and illustrious history of sushi. Sushi is a uniquely Japanese dish – blending rice, a plentiful staple, with fresh fish, also an abundant and much loved food in Japan. 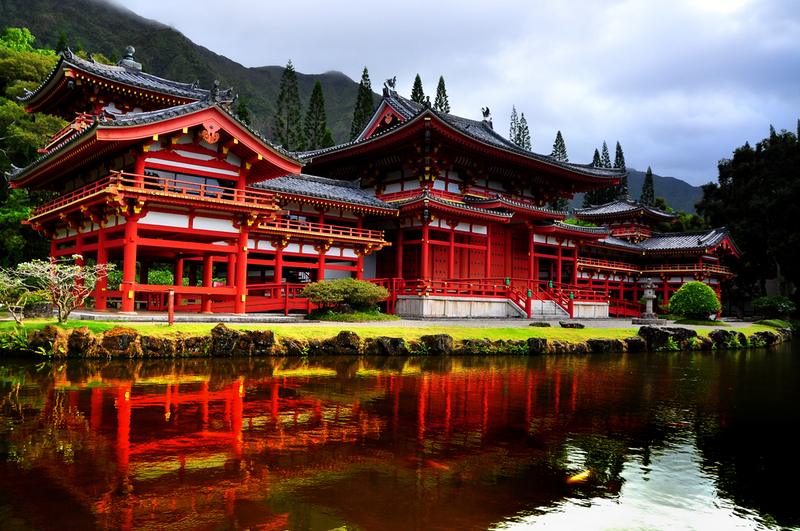 You might be surprised to learn sushi actually made it’s debut in 2nd century China. Sushi was used as a way of preserving food. Fish was placed in rice and the rice was allowed to ferment. This would preserve the fish and make it edible for months using salt and wrapping it up with rice to keep it fresh. People would eat the fish and throw the fermented rice away. Sushi, in its more recognizable form, debuted in Japan around the 7th century. The Japanese ate the rice with the fish. The rice and fish together was now officially a dish, rather than just a means to preserve food. In the 17th century, a gentleman by the name of Matsumoto Yoshiichi from the village of Edo (now known as Tokyo) began to season the rice with rice wine vinegar and offer his sushi for sale. While it normally took sushi months to take on the unique flavor created by the fermentation of the rice, Matsumoto Yoshiichi had sidestepped that process and now had a delicious product that could be eaten immediately. 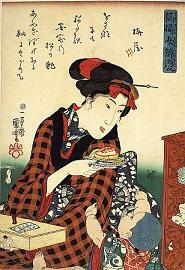 In the early 19th century, Japanese entrepreneur Hanaya Yohei may have invented the first “fast food”. Rather than wrapping the fish in rice, he offered fish atop oblong shaped pieces of rice served at a sushi stall on the street. Hungry Japanese shoppers and travelers could grab a quick bite on the go at his stall. This dish and this method of preparation became wildly popular and spread throughout Japan. In the mid 1900s, sushi became more of indoor dining experience. The stalls of the street vendors selling sushi went away and many upscale restaurants offering sushi took their place. It was at this time that sushi made it’s way West and become popular with Westerners, who regarded the dish as “sophisticated.” As Westerners are wont to do with nearly everything, we put our own unique flair on sushi, taking it beyond it’s traditional Japanese roots with an evolution of new flavors, such as California rolls and various fusion creations which blended many cultures and flavors. Many upscale sushi restaurants have opened and flourished in the West, where we can’t seem to get enough of this traditionally Japanese dish. 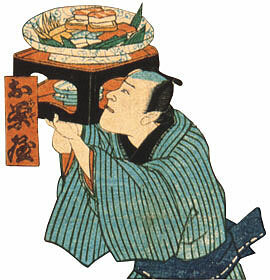 Sushi has been around for 1,800 years and all things considered, it has changed very little from it’s original form. While it began as a way to preserve food, it quickly became highly regarded for its unique taste and healthy properties. It’s little wonder it has become popular worldwide for its delectable taste.